Quickly Master Basic Latin by Building a Practical Vocabulary Fast! 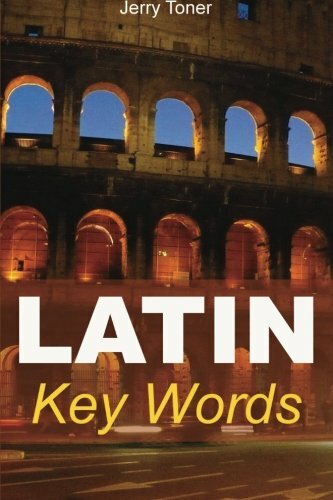 Latin Key Words provides an easy route to mastering excellent basic Latin. Easy-to-learn Unit Structure gets you the words you need to know quickly and easily. One hundred easy-to-master units of 20 words each. Learn Latin quickly and simply. The first hundred words account for 40% of common usage and the first thousand for 68%. The full 2000 key words represent 75% of all Latin words in a corpus of nearly two million. Learn the vocabulary in Latin Key Words and you are three quarters of the way to mastering the entire corpus of Latin texts. Also provides an all-in-one basic Latin-English dictionary and an all-in-one basic English-Latin Dictionary. The perfect aid - to learn Latin by using the simplest, most logical way to pick up a vocabulary of ten thousand words from two thousand. Latin Key Words presents you with the 2,000 word basic vocabulary ordered by frequency of occurrence - in one hundred simple units. Ideal for Examinations and University study. Includes the major works of the following authors: Caesar, Catullus, Cicero, Horace, Livy, Ovid, Suetonius, Tacitus, and Virgil. A simple, fast, proven way to learn Latin with ease. Click to buy it now - you have free delivery with Amazon Prime. If you have any questions about this product by Brand: Oleander Press, contact us by completing and submitting the form below. If you are looking for a specif part number, please include it with your message.